to the world of magic wines from Levac vineyards. Lastar is the bases of our philosophy, that is fertility. True connoisseurs know how natural conditions can affect a wine's components. 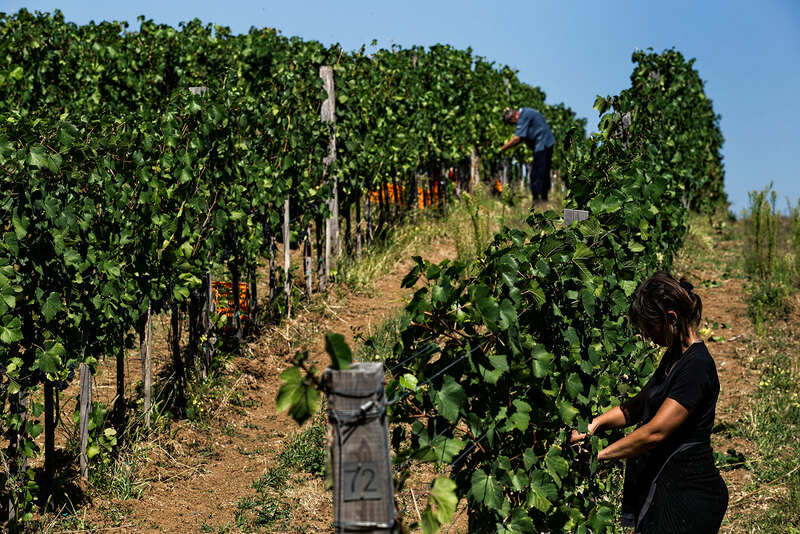 Soil rich in sand and clay, with a succession of three different winds from the Gledić mountains and Juhor, make plantations on each plot unique, and it's exactly this uniqueness that makes Levač wine region authentic. 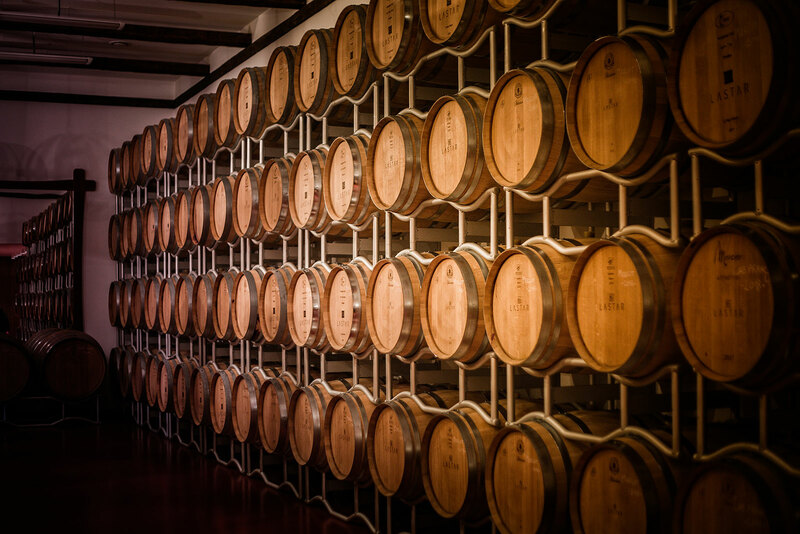 Use of modern technologies in the processing and vinification is absolutely in service of the grapes, so that the wines always represent their terroir. Without exception, Lastar winery wines offer the power and the richness of the Levač wine region in every glass. Vineyards, sunlit and shielded by mountains, give strength and the constant impression of reality in the open space. Once traversed by the main route of the Balkans, Carigradski drum, today the philosophy of Lastar spreads through the region. Rich and unique terroir affects the special nature of our wines and inspires each new bottle. Juhor mountain, located east of our vineyards, forms a slightly cooler climate compared to the rest of Levač wine region. On the other hand, excellent exposure allows for a lot of sunlight throughout the day, and the incline of the terrain ensures constant airflow which benefits the micro-climate within the vines themselves. High clay content in the soil brings minerality and a wide spectrum of aromatic matter, and the soil profile – up to 7 meters in depth contains 5 different layers. This fertile ground ranges from clay near the surface, to layers of pure sand and those with a higher degree of carbonate. Hilly terrain and tame nature gave us excellent conditions for growing grapevine. 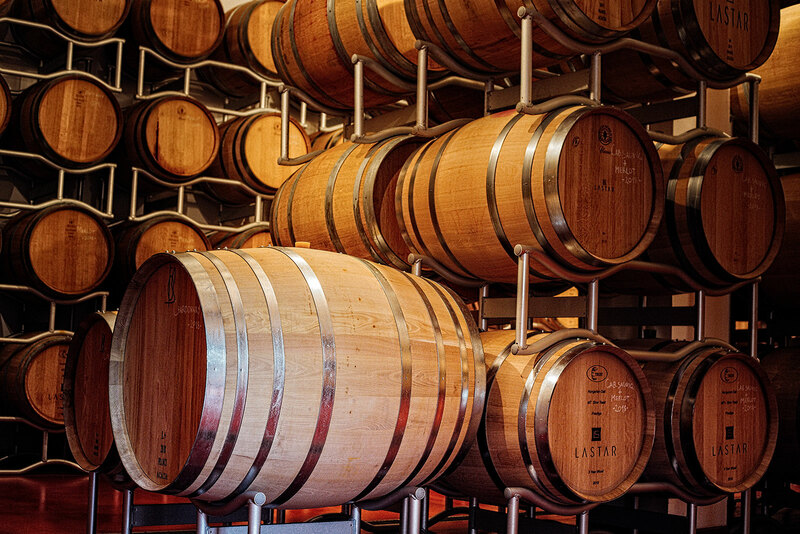 In the Lastar winery, story of wine began exactly where it should: in the vineyard. Lastar presently has 26 ha of plantations, with the intent to expand in the near future. It is located on the Gaj way, within the Sekurič village area at 300 meters above sea level. The quality of the wine was on our minds from the very beginning so, to grow the young plantations, we used the highest quality vine grafts – made in France. We paid special attention to the selection of the right beds and clones and depending on the plot and sort, we used several different ones – doing our best to represent the quality and singularity of Levač wine region in the best possible way. Favoring tradition and quality, aside from young plantations, Lastar vinery also owns old vineyards (Pinot noir and Riesling) established in 1976. Lastar Winery aims to produce high quality wine. For best results, we employ reduction and strict control of the yield through quantity as well as quality. We try to maintain low yield which demands hard manual work in order to go through the necessary processes (pruning, weeding, defoliation, thinning of the clusters and finally a quality harvest) in a timely manner. Also, in order to prevent destruction of the yield, with the help of a meteorological station installed in the vineyard, we closely follow weather parameters as well as the possibility of diseases and grapevine pests. I hear church bells like a message from god and the whisper of the sky, a sign that I should turn grandfather's vine shoots, the most fertile part of the grape, into wine. It all came from feelings in the yard filled with memories. Desire to revive the land came spontaneously and without a major plan. I started from the yard and the country fair toy horse, my uncle Spiridon, I wiped the cobwebs off the copper dishes and polished the wagon of my grand-grandmother in which, for decades later, we put the must in front of the gates for sale. Every Saturday, we sailed through memories, to revive what is there and fall in love again with the abandoned land around grandfather's house. The walks grew longer, and the desire to start something there grew stronger, and even the neighboring yard opened up the possibility of a new dream. Between the first purchased plot of land to the first wine went 10 years of hard work, strategy, rainy months, hail that beat the vine... With a team of amazing young enthusiasts and professionals, we reached the first filling and international awards. As I said, it all came rather spontaneously and from love. I have no wine-making lineage in my blood, but now I have something more important, love and passion I share with you and, most importantly: wine!